The setting was Phoenix, Arizona, and yet another milestone. Specifically, Duplication, and its role both in the preclear’s ability to As-is and exteriorize and the auditor’s skill to achieve that result. 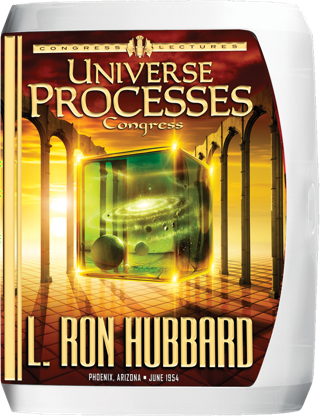 Here is the Congress where L. Ron Hubbard unveiled Procedure 30, comprising three breakthrough processes: the soon-to-be legendary Opening Procedure by Duplication, Problems and Solutions and Granting of Beingness. Yet Congress attendees received far more than a mere description, with Mr. Hubbard delivering these processes to the group. No matter the rave results, the greater story was yet to come. First, with technology to reach every case, publication of the first Group Auditor’s Handbook and Group Processing as a mainstay of Scientology. Second, the breakthroughs of Duplication, resulting in processes to vanquish one’s reactive mind. And finally, the lightning advance to the full codification of technology from this era of development to the pinnacle of thetan ability. For within months L. Ron Hubbard had codified not only the Axioms of Scientology, but processes drawn from the very core of those Axioms that crack the very bottom rung of cases and reach to the accomplishment of exterior OT ability. This, then, is the Congress that bridges from theta potentials in Scientology 8-8008 to the state of OT and The Creation of Human Ability. The story began eighteen months earlier. Having mapped the potentials and abilities of a being in native state—Theta Clear—L. Ron Hubbard published his findings and technology in Scientology 8-8008, the text for the legendary Philadelphia Doctorate Course. Yet if those discoveries had taken Scientology to a new plateau, their magnitude was such as to form the springboard to the ultimate goal. For as he viewed it, now that he could actually free a being, his task was to place that ability into the hands of every auditor—to the accomplishment of freeing every being. Originally called the Camden Indoctrination Course, it would soon become known as the 1st Advanced Clinical Course (ACC). Unlike Professional Auditor training already being delivered on three continents, full certification as a Professional Auditor was a minimum prerequisite for admittance to L. Ron Hubbard’s Clinical Course. And even at that, admittance was by invitation only—reserved for the best of the best in terms of auditors. So began his next phase of research. Its goal was to develop and refine procedure until virtually any auditor could crack any case to the accomplishment of exterior ability. To that end, Mr. Hubbard would develop processes, test them on preclears directly and then provide them to auditors for their preclears. Next, supervising these auditors, he could observe their application in action, locate their areas of difficulty and—quite in addition to then being able to refine processes to make them even simpler—he could develop further training procedures to perfect auditor skill. 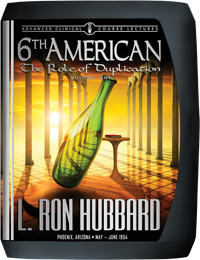 Such was the ongoing story of L. Ron Hubbard research and development that would unfold over the next twelve months. No sooner would he graduate auditors from six weeks of intensive ACC training than he would begin delivering to the next student body. And so they rolled out—the 2nd ACC, 3rd ACC and continuing on one after another. Training auditor after auditor, developing process after process and delivering lecture after lecture—within a year it would total more than 500 recordings of the day-by-day path of research and discovery as it occurred. Organizationally, expansion was so great he had already established yet a new training headquarters in Phoenix, Arizona. But the real word was technical expansion. For each new advance only seemed to escalate both the speed and number of even further breakthroughs. Combine it all with auditors graduating—and then spreading the word of results in their towns and cities—and by the summer of 1954, public requests and demands for yet another L. Ron Hubbard Congress were literally at a roar. The timing couldn’t have been better. For more than just another “breakthrough,” he had once again reached yet another milestone from which nothing would ever be the same. Specifically, the role of duplication in a preclear’s ability to As-is and exteriorize. And just as important, the role of duplication in relation to the skill of an auditor in applying processes to that result with their preclears. Therein lay the backdrop to all he was to unveil at this Universe Processes Congress. The setting was Phoenix, Arizona, where Scientologists from all corners of the globe converged, assembling in the Phoenix Theatre at the corner of Central and McDowell. And as Mr. Hubbard began the first lecture, Congress attendees were soon coming to hear not only the universal application of duplication to all auditing, but what he further unveiled as Procedure 30. Yet Congress attendees were to receive far more than a mere description of these procedures. They were soon to experience it, with Mr. Hubbard auditing those very breakthrough processes for the first time ever on a group basis. Opening Procedure by Duplication on all attendees was only the beginning, as he next followed it with the rest of Procedure 30—Problems and Solutions, Granting of Beingness and even several experimental exteriorization processes. First, with technology now capable of reaching every case, the publication of the first Group Auditor’s Handbook and Group Processing as a mainstay of Scientology. Second, with the breakthroughs of duplication—the fundamental technology that not only makes all auditing work, but which resulted in processes to vanish one’s Reactive Mind. And finally, the lightning-speed advance to the full codification of technology from this era of development and to the pinnacle of thetan ability. For within months L. Ron Hubbard had codified not only the Axioms of Scientology, but processes drawn from the very core of those Axioms—processes which both crack the very bottom rung of cases and the uppermost realm to the accomplishment of exterior OT ability. Here, then, is the Congress bridging from theta potentials in Scientology 8-8008 to the state of OT and The Creation of Human Ability.